Shopping in North Conway, NH is an adventure in and of itself. The more prepared you are, the better deals you'll most likely get. Being prepared means to go online before you arrive at any given store to see if they have an online coupon to sweeten the deal. Bring a small bottle of water and keep it in your purse. Ask if they'll give you the sale price even if the sale doesn't start until the next day. Below are great ideas and shopping suggestions that will help you save even more money when you shop in the Mt. 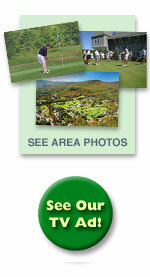 Washington Valley for great North Conway, NH outlet deals. Arrive during the first hours of North Conway, NH store openings. You are guaranteed the best parking spot and this will allow you to drop off your bags-of-bargains as you move from store to store. This also helps beat the crowds on those big shopping weekends and sales days we frequently have. Many stores in the Mount Washington Valley are close by so you can actually plan your day walking store to store. Many North Conway stores start weekend sales a day early so call ahead by using the advertiser index located in all of our maps to see if their weekend sale has already begun. When you walk into a North Conway store ask if there are any discount coupons available. 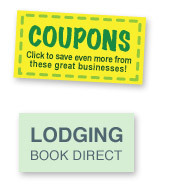 Some only have them on line but others participate in local advertising that includes discount coupons. The store manager may have some behind the counter. Speaking of coupons, keep your coupons in one location in your purse and alphabetize them by store. You'll be thankful you did when you are cashing out. Treat your receipts the same way as coupons. Keep them in one place and in alpha order in your purse. Especially at North Conway Factory Outlet Stores and during sales, always ask about a store's return policy. Some stores are cash-back with a receipt and other s only give you a store credit. Some even allow you to return an item at your own hometown store location. If you have traveled a long distance, it's always good to ask before you pay. Ask when their next sale is. You could be in a store the day before everything in your hands or basket will be on sale. Ask about price adjustments. Many North Conway stores allow for a price adjustment if the item(s) you purchased go on sale within an allotted number of days. It always pays to ask and many will credit you the difference. You can always ask the store manager to call you when a sale comes up. Many of the managers at our local stores are known to call a list of their customers when a great sale is going on. I was eyeing a lovely piece of jewelry for my mother one Mother's Day but the price was out of my reach. A few weeks later I received a call from the Manager saying the piece had been marked down 50%. I went in that day and bought it. Wear comfortable slip on shoes. It makes changing in the dressing room much faster and easier. I sometimes bring an extra pair of socks too since clothing room floors are not known for their cleanliness. Actually, wear comfortable everything. An easy on and off shirt and pants helps speed up your changing room time by 50%. And wear beige or skin tone underwear. There'll be little or no distraction when trying on light colored or see-through garments. Especially, here in the Valley, don't be afraid to put an item on hold. Most stores only hold til the end of the day but this would give you enough time to look around at other stores to comparison shop. Please take the store number with you tho so you can call to release the item if you have found something better or more to your liking elsewhere. It's the courteous thing to do. My personal favorite tip is, "When in doubt, don't". Only a few times have I actually said I was thankful for buying an item I just wasn't sure about. 9 times out of 10, if I buy it....it just hangs in the closet. On the other hand, if you have been looking for an item for months or years and have finally found something "close enough" and there is only one of them left in your size, BUY IT! Most stores will ask for your email so they can send you coupons and notices of store sales. These are usually worth signing up for. If you find that a store just inundates you with useless information, you can always opt out of receiving the emails. I find that most try to keep emails to a minimum and the sales benefits are usually worth the spam-like feel. And this one is really a pet peeve with me......If you are a heavy make-up or perfume user, your fellow shoppers as well as the store owners ask that you please use extra caution with trying on clothes. There are so many pieces of clothing that have to be thrown away....can't even be given away, because of excess make up or perfume smells left on garments. Shopping Tip #16: Read labels. If it says dry clean only and you are sure...it can't be hand washed, ask yourself if the piece is really worth the price of dry cleaning? Shopping Tip #17: Try new trends. As much as you think you might not look good in a certain style, try it anyway. At bargain prices, you may just find a new bold look you'd never try otherwise. This includes accessories, too. But re-read Shopping Tip #13 before you follow through with Shopping Tip #17. Shopping Tip #18: Bring photos as a reminder of a style you liked when you saw it in a magazine or on someone else. In the excitement of shopping we sometimes forget what we liked even a week ago. Shopping Tip #20: If a big sale weekend is coming up, call the store on a Thursday afternoon to see if they have marked prices down already. You can get a jump on other bargain shoppers by shopping that night or early on Friday and you get to beat the crowds. Shopping Tip #21: Bring a friend. What better way to celebrate that great find than with a best shopping buddy. 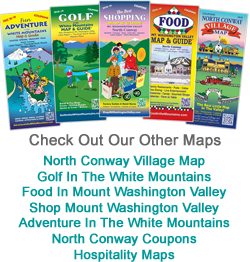 Be sure to use the coupons in all of my maps....at Hospitalitymaps.com. You'll save a bundle! HAPPY SHOPPING!